My dining room is done!!! I love how it turned out. I am going to start with my favorite part (the ceiling) and then work my way around the room. I took these shots in the morning when the sun was very bright and very orange. I had to edit the crap out of them and they are not crystal clear, but I think they are good enough to show you what it looks like. 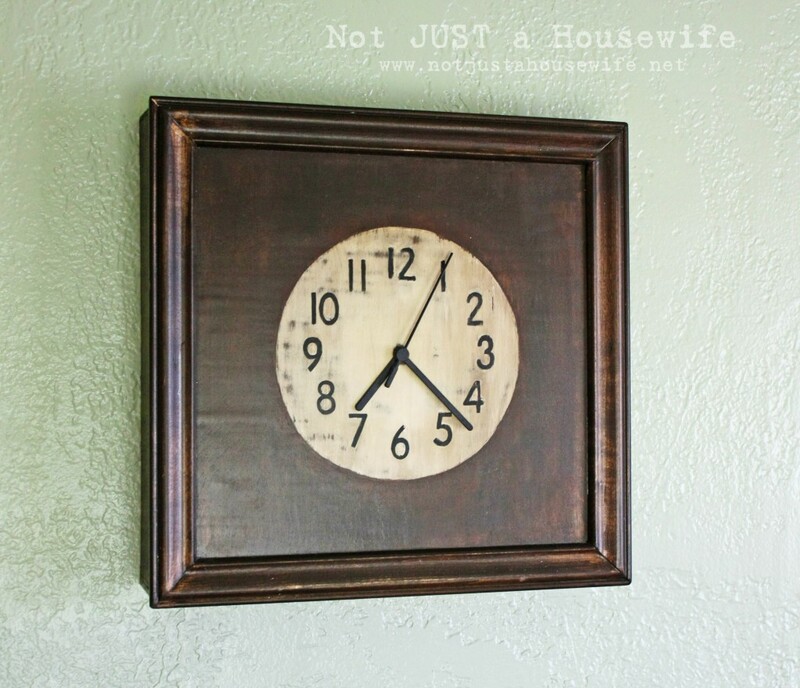 This clock I have posted about before. 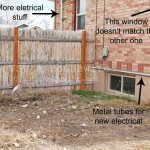 I originally built it to cover up a meter box in our apartment when we lived in Vegas. It stuck out of the wall a good 10 inches so I cut a bunch of it off with my jigsaw. I live with 5 boys so manners is a big deal at dinner time. This gets said A LOT so I thought a visual might be good. I love my polka dot curtains!!! I needed to add more dark brown and the dots were playful. I think they are fun. I originally bought some paisley fabric but it seemed too…..serious, for lack of a better word. And here is the BEFORE. The shelf just had 4 silver frames. Pretty boring huh??? I can’t WAIT to show you the other half of this room. . . THE KITCHEN! I am hoping I have a good week and can finish the rest of the kitchen so I can reveal it next Monday. That is the goal. We will see! OH MY STARS!!!!! LOVE IT!!! I painted checks on our floor and loved loved loved them……can NOT imagine how your neck must have felt looking up for that amount of time…..but WOW so worth it!!!!!!! It looks great! I love the simple color scheme with the pops of pattern! Looks fantastic!! Love the colors & the ceiling is AMAZING!! Nice work! It turned out beautiful Stacy. I love the ceiling and the curtains are fun. I can’t wait to see the kitchen. looks great! 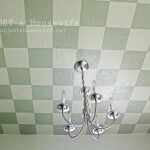 I wasn’t sold on the idea of a checkerboard ceiling until I saw the whole room…it’s nice! Ooooo, your colors are very soothing. The ceiling looks fantastic. The overall look is very inviting. Hi Stacy, I love the ceiling, how did your neck feel when you were done? 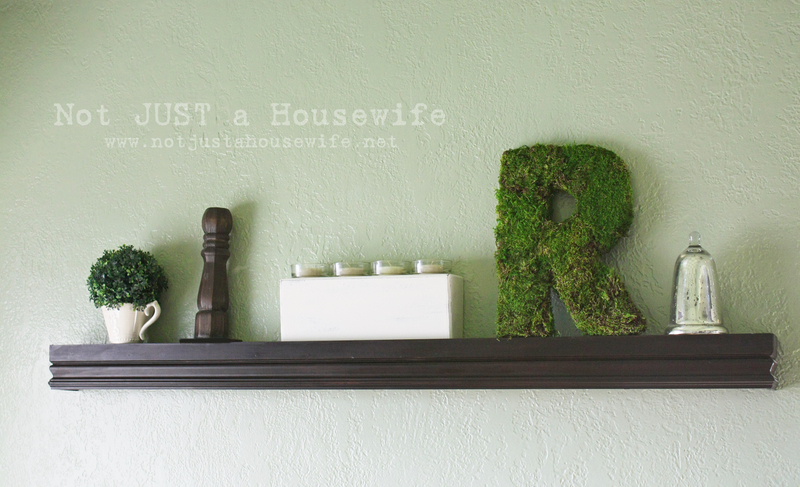 I am planning on painting the ceiling in our study this summer, but I am using a stencil. I love the ceiling..Beautiful..You have inspired me to attempt this in my downstairs family room..Wish me luck..My husband will see this and cringe..LOL.. It looks just amazing Stacy! My neck hurts just thinking about you painting your ceiling. LOL! But it adds sooo much to the room. Love it! What an awesome ceiling you have! I love the brown and polk a dots. You tied it together perfectly. So cute and unique! Great job! So freaking cool! Your ceiling is killing me. My husband would never go for that. It looks tremendously awesome. Great job! Can’t wait to see the other side! 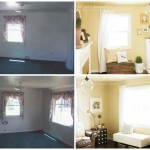 WOW, I love seeing makeover posts and your kitchen looks so cute. 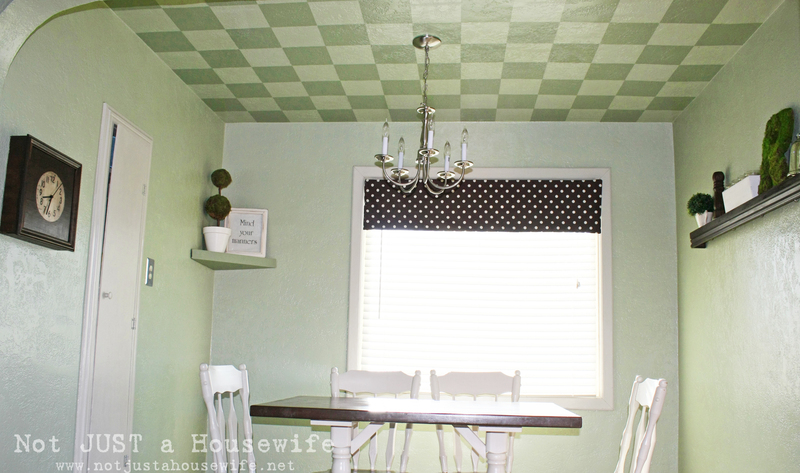 I really love the contrast of the green checkered ceiling and the polka dot curtain. Wow! That is so fun!! Very cute and fun! I need to paint my kitchen ceiling, but there always seem to be higher priorities…maybe I’ll get to it eventually. So jealous. 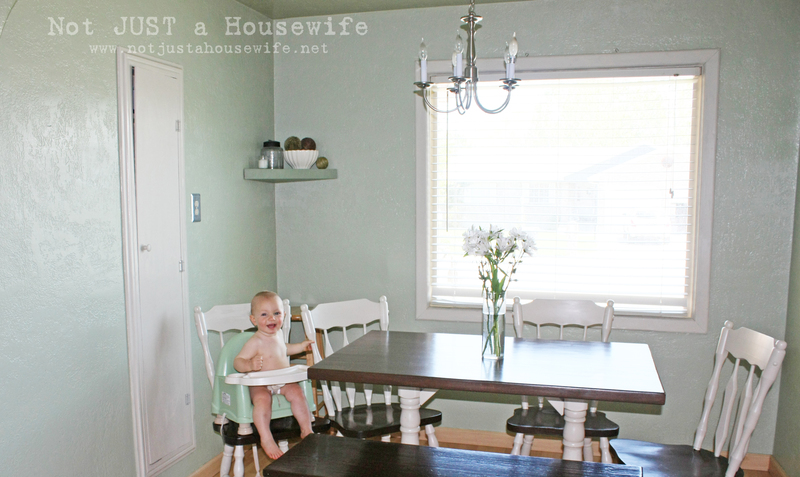 Your dining room is so cute! Can’t wait to see the kitchen. I love the retro feel. That must have been hard. I love your dining room! The colors you chose are fabulous, and that ceiling is to die for! I might have to copy your look sometime. Thanks for sharing it! 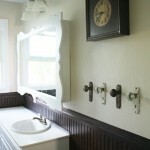 I did this once in a old kitchen, the same color too! I love it! I absolutely love the ceiling, it’s so much work!! Great job, and I love the sassy curtains. 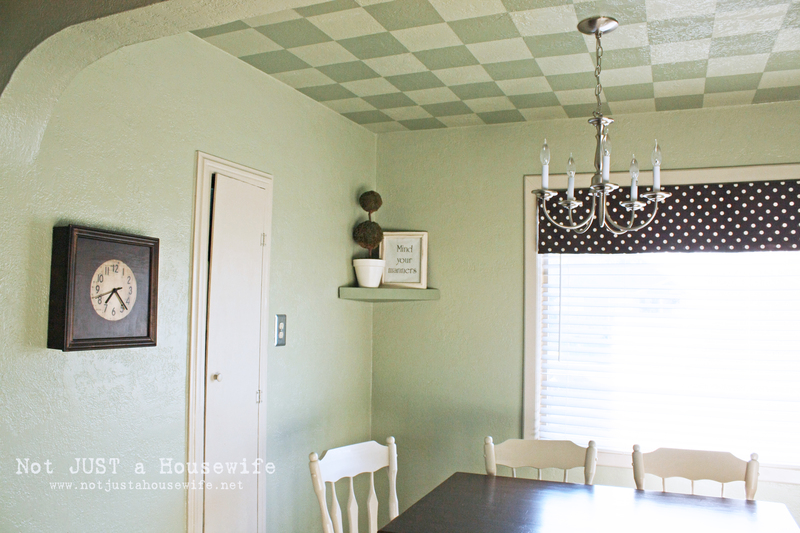 I’ve been wanting to paint stripes on a ceiling…..
oh my gosh, how FUN is that ceiling! especially with the polka dots-love it! Beautiful, I love the colors they are so nice together! You are very talented, I look forward to that kitchen. BTW that is a cute baby in the before pics! The ceiling is awesome, creates such a cool visual interest! love, love, love, love … LOVE the ceiling! 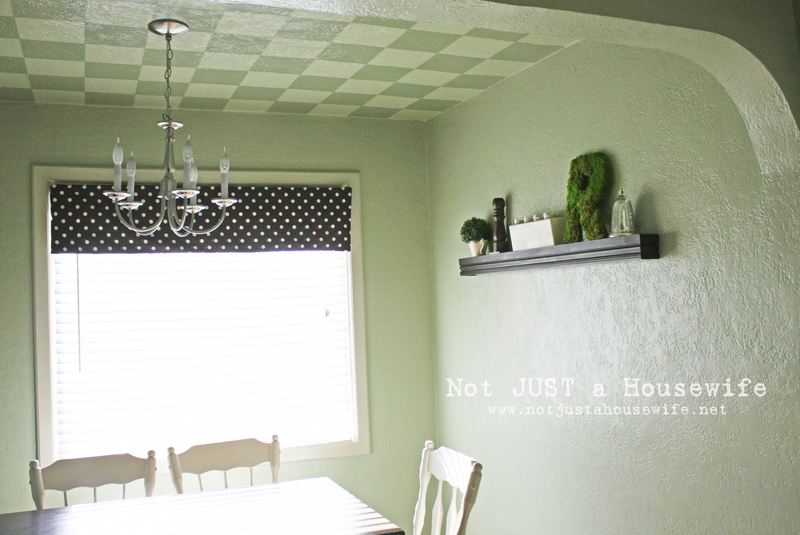 LOVE LOVE LOVE the checkered ceiling and polka dots :) They look great together, thank you for sharing! How, cool! 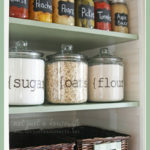 I love this idea and might try in the my new home that I’m remodeling! Way to go! 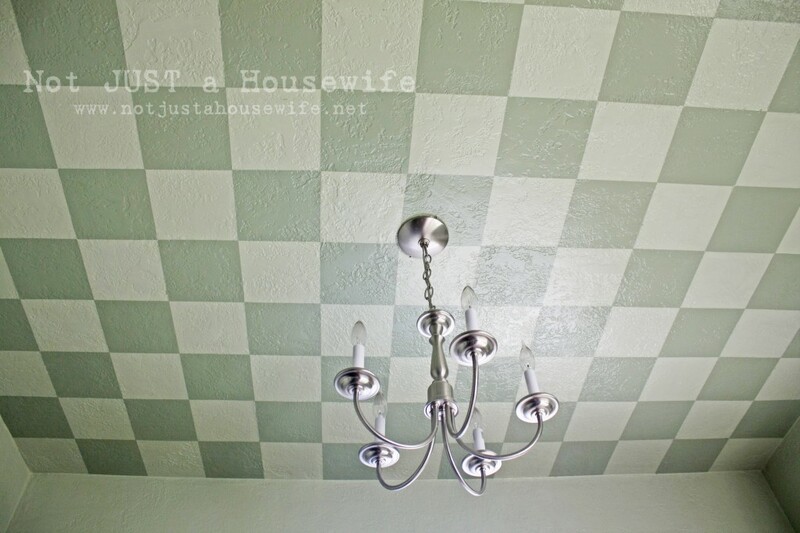 I LOVE your checkered ceiling! What a fun idea! Well worth all the work I’m sure you put into it. Well done! 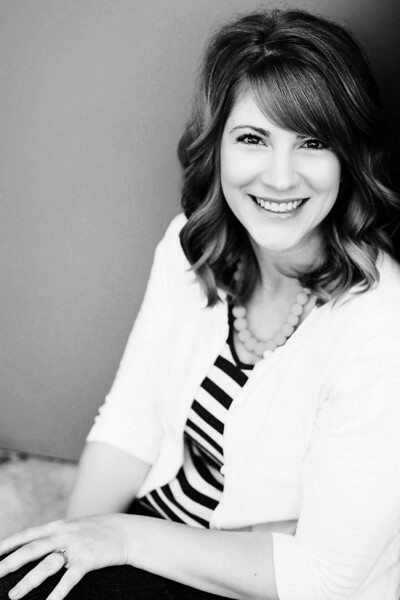 Stacy – you are just amazing!!! 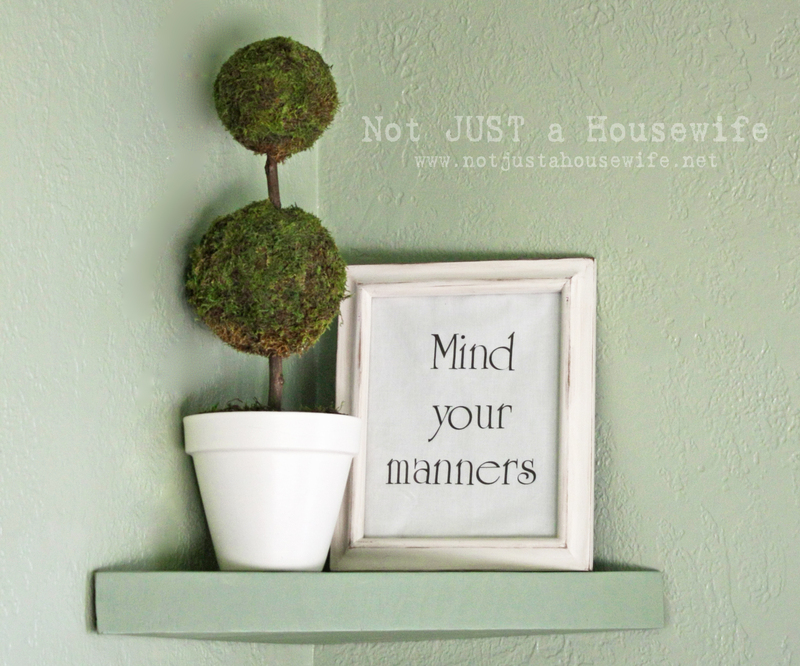 And your house is so cute!! Awesome job!! Holy Moly Wow! I absolutely LOVE those checkers!!! I love it! 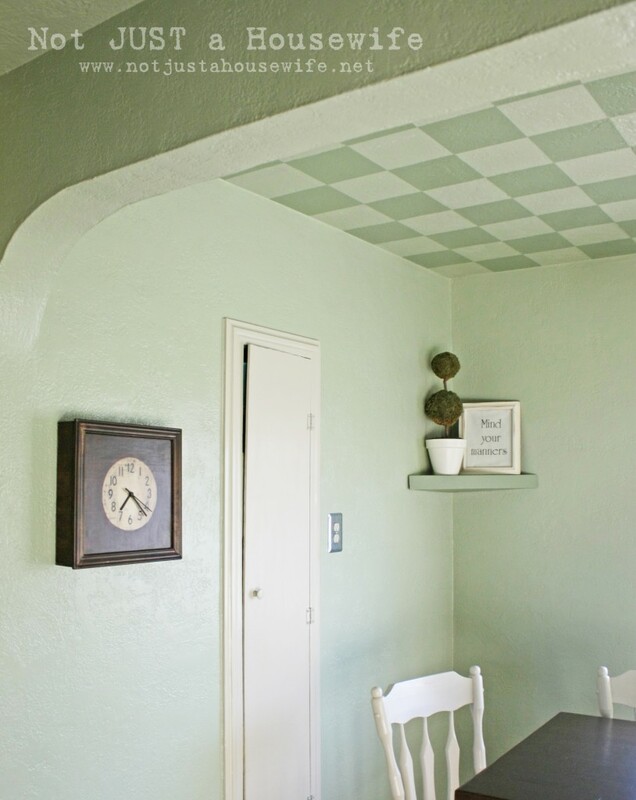 I love the checkered ceiling – so unique! It looks great! I love the ceiling and your little clock! My mouth dropped OPEN when I saw that ceiling…. VERY NICE! this is exactly what i want my house to look like. my house will be like this but better. Holy crap! That must have taken forever, but I totally love it, well worth the effort. And I love your new header-very cute! Oh my word! Beautiful! I love the checkers! 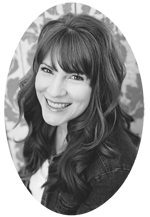 Would love if you would share at Calling All Crafters! Your color scheme is fantastic. 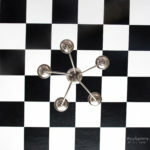 Who would have thought to checker the ceiling, but looks good anway. Well done. That ceiling is too cool – beautiful! 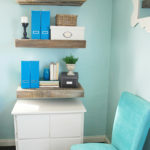 I have this linked to my ceilings post as well today, for inspiration!